Create your entire deal online and save hours at the dealership! Completely risk free, no obligation. Once you like your deal you can reserve the vehicle and come in for the fun part... the test drive! 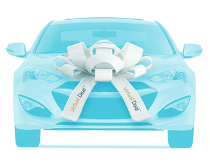 Choose a vehicle and click the 'VirtualDeal' button - we will send you payment, lease, trade in and credit info - all from home! When you like your deal, reserve the vehicle up to 24 hours for your test drive - no obligation to purchase. Not sure which vehicle is best for you? Choose one or more vehicles - our goal is to help you create your perfect deal!